On April 9, 2017 we became full-time international house sitters! How did we come to this decision? Well, we need to go back about 3 years. We had subscribed to International Living Magazine and were interested to read about places where we could live or retire more cheaply than our home country of Australia. 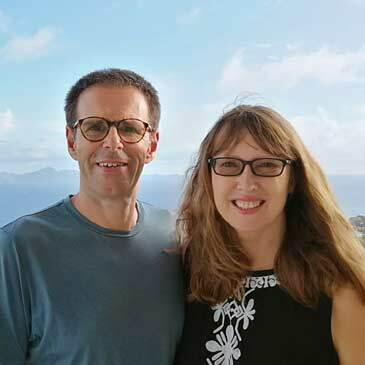 The plan was never to work until retirement age (65 in Australia), so we decided to take “a year off” to try this lifestyle and see how we liked it. We also wanted to see exactly how much it would cost. Our initial thoughts were to spend 9 months living cheaply in SE Asia in places like Chiang Mai in Thailand, Penang in Malaysia and Da Nang in Vietnam. Then spend the remaining few months in Europe where the cost of living and travel would be substantially more expensive. But, while we were planning and saving, we came across another article in the same magazine describing house sitting. Glenn had explored home exchange (or house swap) some years earlier, and we’d briefly heard about house sitting but not thought anymore of it. So we investigated further and around the same time a house sitting course by Michael & Yvonne Bauche was advertised in International Living and we signed up for it. Their course provided us with the necessary information we needed to get started as international house sitters. It looked interesting and exciting and we felt we had the right attitude to do this. We loved being around animals, so we created a profile, built a website, TheAussieLambs.com, and joined both TrustedHousesitters and HouseCarers house sitting platforms. It all began early in November 2015. Glenn had to resign from his job. His employer did not provide for such a long absence. My employer on the other hand, gave me 12 months leave-without-pay, which was fantastic. Our only plan for the first 12 months was to spend the first 3 months in Chiang Mai, Thailand. This location featured regularly in articles as a good, affordable place to live with a good expat community. It certainly lived up to our expectations and we spent nearly 5 months in this city. As newbies to house sitting starting with only personal character references, we were unsure if we’d be selected by any home owners. But after applying for many sits without success, we were very excited when we finally landed our first house sit. It was in Hua Hin, Thailand and we’d be looking after 6 lovely cats. It was a great first experience. From there we were successful in obtaining house sits in Hong Kong, France, Spain and the UK. …And Then We Were Hooked! After 6 months of back-to-back house sits, we were hooked on this new lifestyle and adventure. Traveling to locations you’d normally not visit as a tourist, making new friends, and caring for animals and their owners homes, suited us perfectly. Mind you, there is work and there are responsibilities involved when house sitting. It’s not just a free holiday. Our sits to date have ranged from caring for one cat, to looking after five King Charles Cavaliers. We’ve been in rural and city based locations and have loved our experiences. The variety of location keeps everything interesting and our home owners have all been lovely people. They’ve had beautiful homes and equally gorgeous pets. We returned to Australia mid-October 2016 and had already decided that the “house sitting” lifestyle was what we wanted to pursue. It enabled us to stretch our budget a lot further and travel to fantastic places, meet wonderful people and their beautiful pets. We put together a plan for full-time travel and gave ourselves 6 months to do everything we needed to do. Having previously packed up our house (twice) and put our possessions into long term storage for overseas working assignments, we decided straight away we didn’t want to put any goods into store this time around. After all, this was to be a brand new start and life. So, instead we began the huge task of selling, donating and re-homing our possessions. Sadly, Glenn is a hoarder, so this was a mammoth task! Our roof space was full of boxes of “stuff”, some of it up to 40 years old. So you can imagine how long this took and how difficult it also was for Glenn to say “goodbye” to a life-time of memories. But we didn’t throw away everything. A box or two of goodies have been stored, and some items were scanned for posterity before being destroyed. I won’t bore you with all the details except to say, everything takes longer to do than you expect. The last 72 hours were pretty crazy with little sleep. International House Sitters – Location Independent At Last! Would we have done things differently, “yes” definitely, but we did it! We are now “homeless” or “location independent” and it feels fantastic – so liberating!!! Since April 9 2017, we have been to Kuala Lumpur, Malaysia, house sat in High Wycombe, UK over the Easter break, and spent 5 weeks on two sits in the Costa Del Sol in Southern Spain. We spent a glorious couple of weeks sitting in Provence, France and are now in the UK for another 2 months of sits. We are now booked until the end of October and very happy with our decision, and looking forward to exploring the world, making new friends (both human and animal) and enjoying our new house sitting lifestyle. 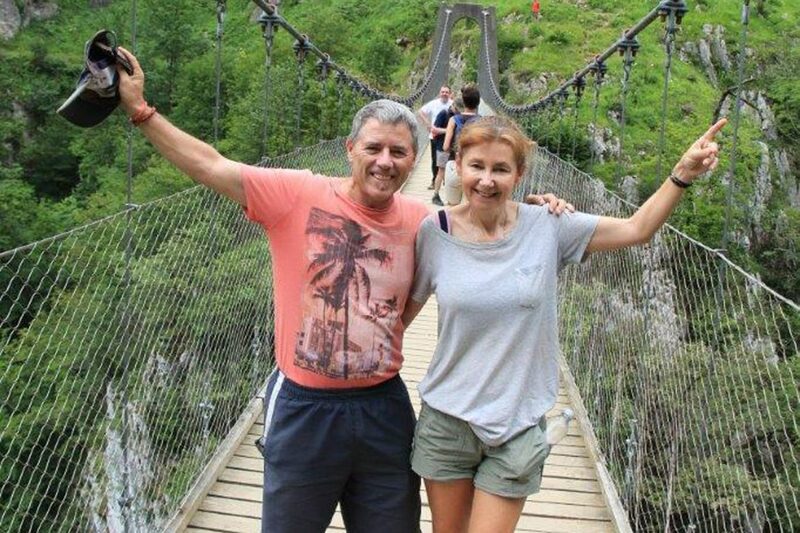 Jacqueline, a retired dental nurse, and Glenn, a retired IT Project Manager, have been married for 28 years and have always been passionate about traveling. After “testing the waters” they decided to embrace the roving retiree lifestyle full time. They have rented out their home and sold or given away most of their possessions. Currently they spend 8 months house sitting and 4 months in Chiang Mai, Thailand where Jacqueline volunteers at the local dog rescue shelter. 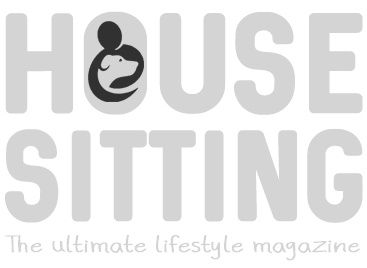 This article appeared in Issue 12 – for your FREE copy of House Sitting Magazine, download from the website on iTunes, GooglePlay or as a PDF Flipbook for your laptap.